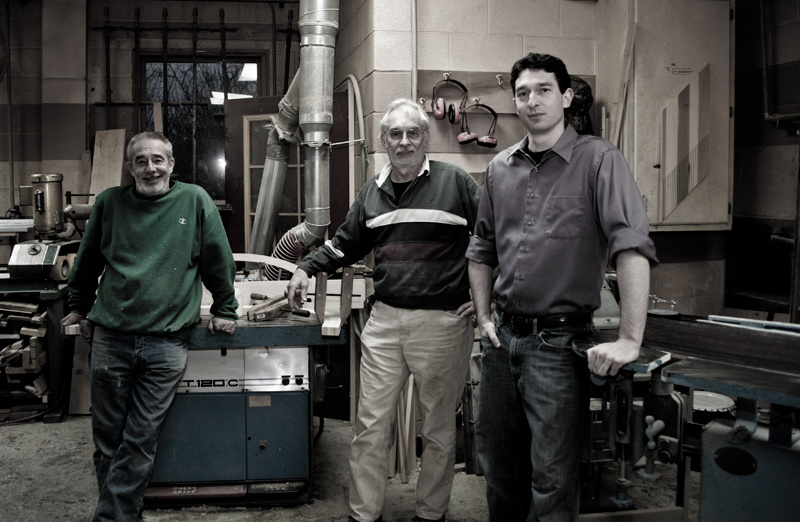 J & J Woodworking Co. was started as a partnership in 1973 and then incorporated in 1994 as a family owned and operated, full service custom cabinet shop. At J & J Woodworking Co., Inc. we pride ourselves in custom design and fabrication of quality products including but not limited to cabinetry, interior and exterior wood doors, moldings both standard and custom profiles, wood mantels, curved casing or other curved products for your special applications. These products are available in a variety of wood species from ash to walnut for domestic hardwood category and cedar, cypress and pines in the softwood category. Imported species such as Spanish cedar, mahogany, sapele etc. are also available. We sell FAS hardwood lumber in thickness from 4/4 to 16/4. Planning services are available for surfacing four sides (S4S), straight line rip one edge (SLR1E). At J & J Woodworking Co., Inc. we offer you a quality manufactured product at a reasonable price.